It’s day 7 of 12 Days of 12 Christmas Ornaments! 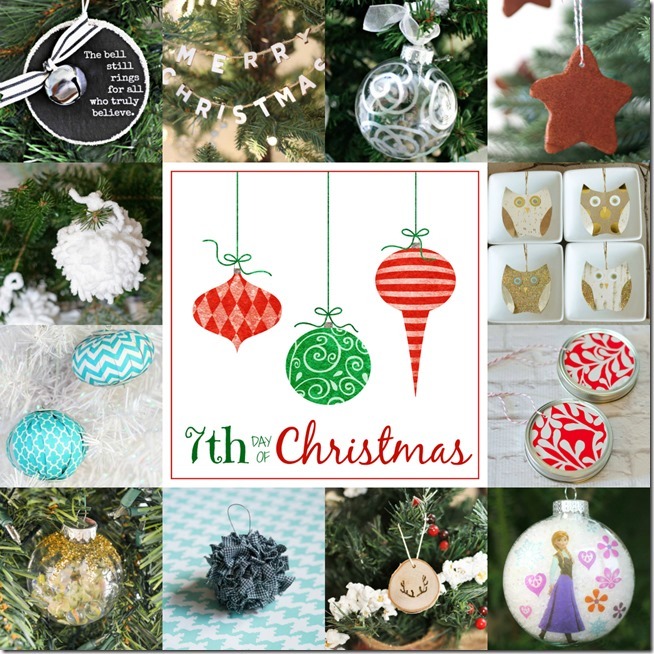 By the end of this fabulous series, my bloggy friends and I will have shared 144 handmade ornament ideas! 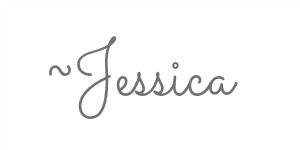 You can find them all HERE! 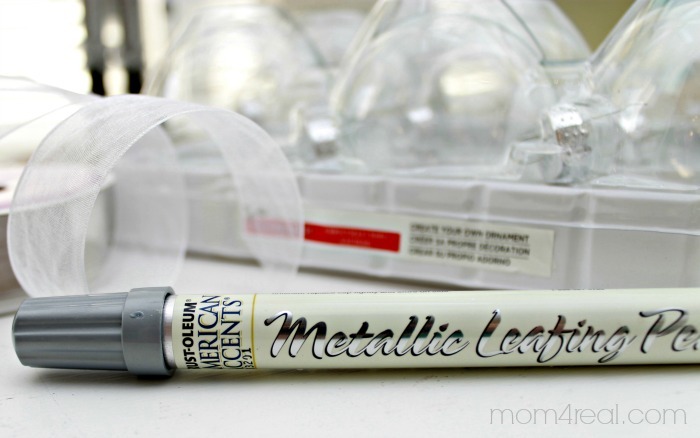 Today, I’m going to share an easy tutorial for making pretty silver and clear painted glass ornaments! 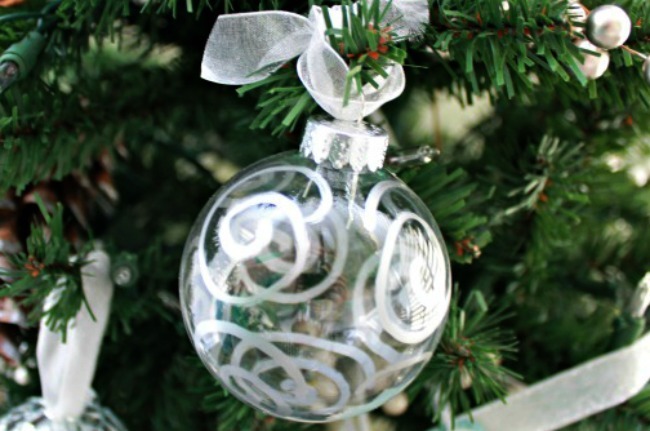 All you need is a metallic leafing pen, some clear glass ornaments and ribbon! 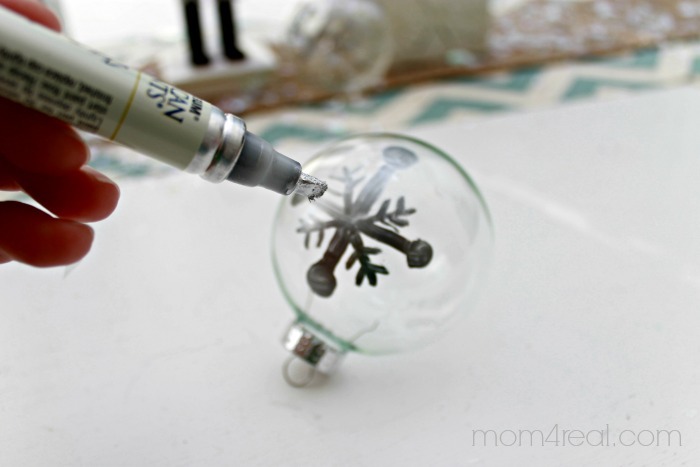 You simply draw your designs on the glass bulbs using the silver pen and allow them to dry for 10 minutes! 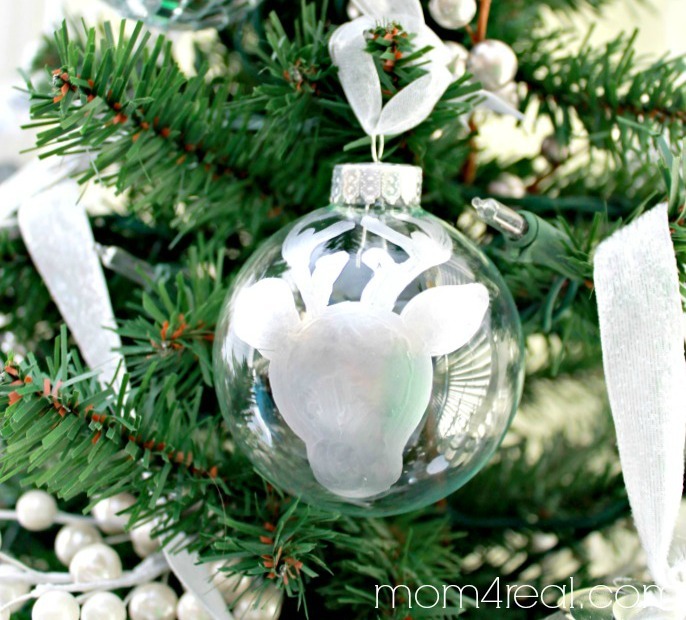 I made several different ornaments using this method…this is my favorite! I just drew and filled in the silhouette of a deer head! 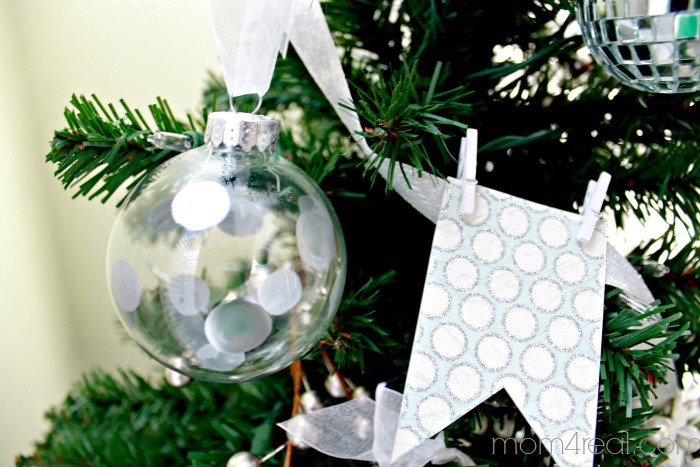 And made a few polka dot ornaments too! 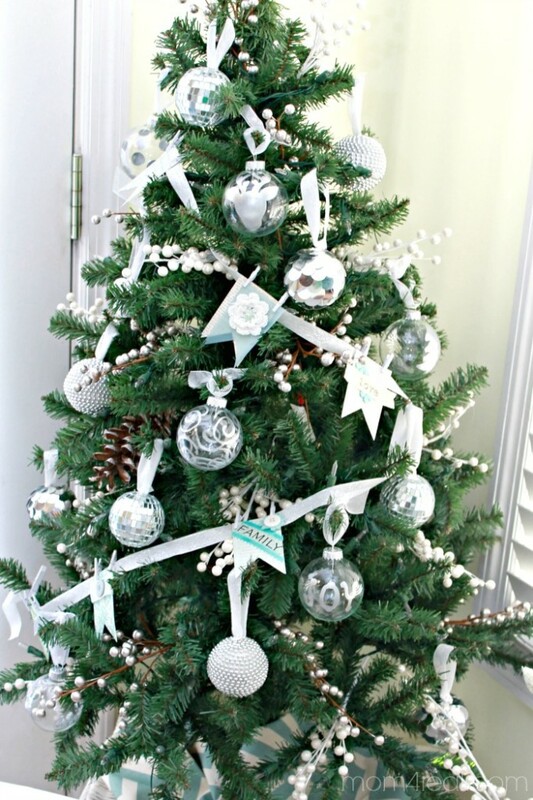 Then I hung them all together on a tree with some other silver ornaments to make this cute silver and white tree. These are so simple to make and are truly beautiful! 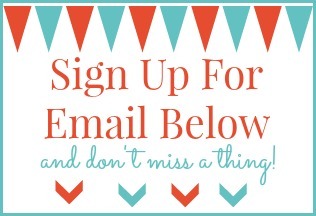 « National Decorate Your Home For The Holidays – Twitter Party and Selfie Contest!